Filipe Toledo represents the tip of the spear in today’s progressive surfing movement. Small in stature but massive with his moves, especially in the aerial realm, this Brazilian tornado’s heart-pounding approach has netted him five Championship Tour victories over the past three years, more than any other CT competitor. He’s a second generation pro who grew up outside of Ubatuba, Brazil. His father, Ricardo, was two-time national champion back home. In 2014, as his career took flight, Filipe convinced his entire family to move to San Clemente, California. Today, Filipe’s wife and baby are the newest additions to their legendary backyard barbeques. According to his peers, Toledo’s volatility is the only thing stopping him from achieving his dream of a World Title. His high-flying act makes him vulnerable to injury (he sat out two events in 2016) and his youthful passion has led to a series of costly mental errors (he was suspended for one event in 2017 for his behavior in the wake of an interference call). His breakout year came in 2015, when he won three events and finished No. 4. 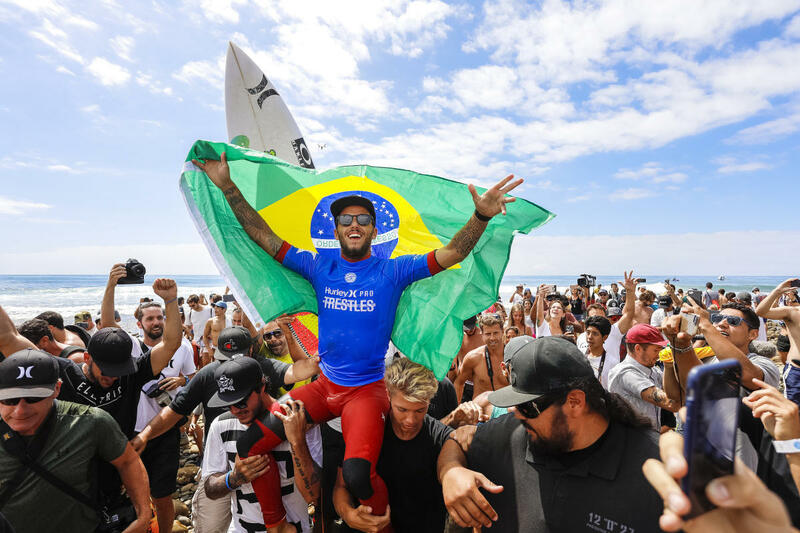 In 2017 he turned in landmark performances to win two more events, including an instant classic at Jeffreys Bay, but he ended the season with three straight early-round losses and finished the season No. 10. If Toledo can plug the holes there’s no question he’s a World Title contender.